By using Disk Image Backup or clone disk software you will get a compressed file containing an exact copy of your important files , Images , Videos or your entire hard drive, also most of disk image backup software may copy selected files to another file location ( File Backup), and others may make a complete system backup an exact image so you can restore When you need it. In this list we collected and review best disk image backup software and clone disk software in the market based on Backup/Restore and retrieving the data, ease to use, reliable and features set, to suite your pc and your level of experience. 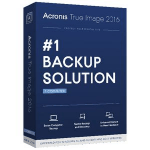 Acronis True image backupwith free 5GB Cloud Backup is Full featured backup/imaging program, easy to use and effective make Acronis our best choice for Disk image backup, Acronis has goes even further to make your Data fully protected and can be recovered quickly in the event of any disaster. Acronis has features such as Disk imaging, One-click backup , online backup , nonstop backup which automatically creates incremental backups every five minutes, allowing users to roll back their system, files, and folders to any point in time. Paragon Backup & Recovery is a complete imaging backup and Migration product it offers two backup approaches by Drive backup or disaster recovery and system migration solution for home Windows® environments, both physical and virtual restore, with very high performance, Paragon backup features include Differential Backup, Cyclic Backup – complete infrastructure for establishing a self-acting data protection system.and Backup Capsule – which you can place a backup image to a special secured place on the hard disk called the Backup Capsule and get additional level of security to all archives which it contains anymore. The FarStone TotalRecovery Pro is a reliable and cost-effective way to back up your files, Interface is very clean and clear. So it is easily understood even by a computer novice. The software itself includes a comprehensive support tools and Total Recovery provides flexible backup and restore capabilities. 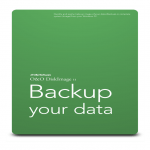 including file and folder backup, complete system backup, and incremental image backup. . So it is easily understood even by a computer novice. The software itself includes a comprehensive support tool. More support is available at their website. The total Recovery 7 Pro is available for $47.77 at their website.